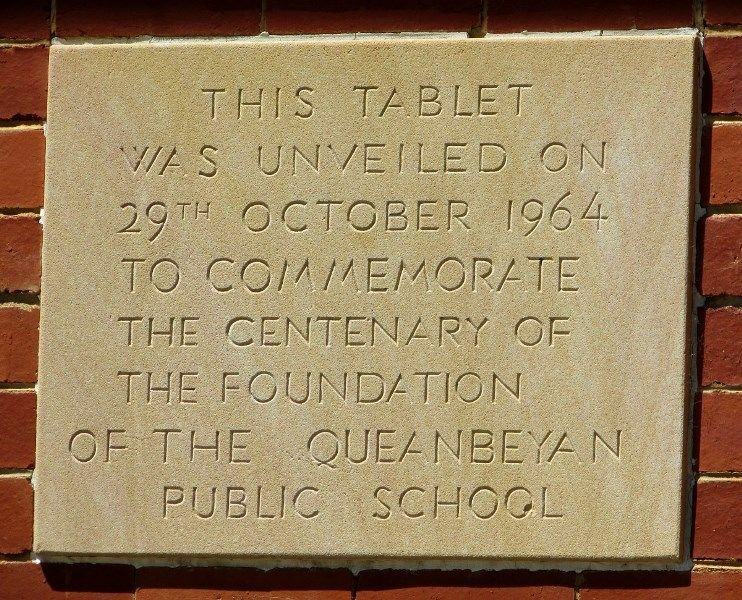 Queanbeyan celebrates its centenary of public school education this week. More than 100 years ago children from Queanbeyan and nearby districts were educated in a building with wooden slab walls, dirt floor, and a bark roof. In 1864 the N.S.W. Education Department rented the Manchester Unity Odd fellows building in Crawford Street and public school education began. A few years later school was shifted to an old building in Lowe Street, and in 1877 the department took over a building in Isabella Street which is still being used for schooling. The enrolment was 148. The old building still stands among modern blocks on the four-acre school site. A building was erected in 1933, and the present main block went up in 1935, when the school was raised to intermediate high school standard. Queanbeyan's education facilities greatly increased when the new school on the west side was built in 1957 and was followed by the erection of the new Queanbeyan High School in 1959. Enrolment of the Queanbeyan Primary School, where the centenary celebrations will begin on Thursday, is now 1,000 pupils. Mr. Young will give the opening address at 2 p.m. on Thursday, in a ceremony chaired by Mr. V. Walters, president of the parents and citizens' association. An address and civic welcome will be given by the Mayor of Queanbeyan, Ald. F. Land. Mr. Young will unveil a commemorative plaque and an appreciation will be given by the deputy principal of the school, Miss M. H. McLean, representing the principal, Mr. R. Gaul, who is ill in Sydney. Canberra Times (ACT), 27 October 1964.